Experts Cast Doubt On What Else FBI Might Get From Suspect's iPhone : All Tech Considered The showdown between the FBI and Apple could result in huge changes for security and privacy, but one thing it may not do is deliver a big break in the San Bernardino case. FBI Director James Comey has said enhanced security on cellphones and other devices blunts the bureau's ability to find terrorists before they strike or to prosecute them if they are caught. The showdown between the FBI and Apple could result in huge changes for security and privacy, but one thing it may not do is deliver a big break in the San Bernardino case. Investigators say they want to exhaust every avenue as they piece together what led to the Dec. 2 attack. That's why they've asked a court to order Apple to unlock an iPhone that belonged to Syed Farook, one of the shooters. Apple is refusing to cooperate. Beyond the larger battle of principle, however, skeptics wonder whether the FBI can learn much of value from Farook's phone. "We have to ask ourselves what they'll discover on the San Bernardino shooter's phone that they don't already have," said Susan Landau, a professor of Cybersecurity Policy at Worcester Polytechnic Institute. "They should already have the information on whom he called, and who called him; they can get that information from the metadata at the phone company," she said. "In the same way, they can get some of the email data from his Internet service provider. So what they are really looking for is anything Farook might have saved on his phone — and you have to wonder what the value will be of that." Investigators are concerned that Farook allegedly turned off the iCloud backup for the phone about a month before the attacks. That leads them to suspect Farook might have something saved on the phone itself that could provide clues about other people who might have been involved or help authorities pin down the precise motive or triggering event for the shooting. For skeptics and privacy advocates, the focus on the phone feels a little misguided. The FBI has already been able to follow a fulsome digital trail on computers and social media that has helped investigators piece together what happened. What's more, although Farook and his wife were killed in a police shootout, the FBI has arrested a man who not only bought the weapons used in the attack, but also provided a long narrative about Farook and his radicalization. Even so, government officials want as much information as they can get. "There is a deep-seated law enforcement mentality of wanting everything in an investigation, irrespective of its relevance or whether the information duplicates data available somewhere else," said Fred Cate, vice president for Research at Indiana University and a senior fellow of its Center for Applied Cybersecurity Research. "You can easily understand where this comes from, but in an increasingly digital world, it is unworkable." FBI officials concede that Farook's phone may be an investigative dead end, but they feel pressure to follow every lead they can. The Justice Department said as much in a statement released Wednesday by Eileen Decker, the U.S. Attorney for the Central District of California. "We have made a solemn commitment to the victims and their families that we will leave no stone unturned as we gather as much information and evidence as possible," she said. "These victims and families deserve nothing less." Top national security and law enforcement officials have spent years warning about the dangers of encryption. 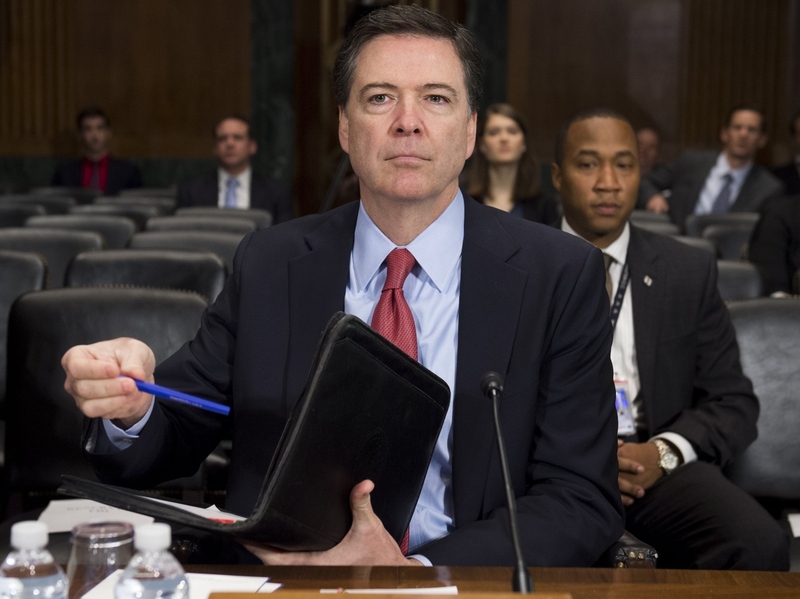 FBI Director James Comey has said enhanced security on cellphones and other devices blunts the bureau's ability to find terrorists before they strike or to prosecute them if they are caught. CIA Director John Brennan has said terrorists use encrypted technology to "make it exceptionally difficult, both technically, as well as legally, for intelligence and security services to have the insight they need to uncover it." Both men worry aloud that encryption of the kind on Apple's new phones will turn otherwise solvable cases into cold ones. They've also warned about encrypted communications apps and social networks, which they argue enable terrorists to operate outside the view of the agencies charged with stopping their attacks. The Berkman Center for Internet & Society at Harvard University released a report earlier this month to look at whether cellphone encryption is as crucial to an investigation as authorities claim. The report, titled "Don't Panic: Making Progress on the 'Going Dark' Debate" was written by a diverse group that included former leaders at the National Counterterrorism Center like Matthew Olsen and denizens of the cyber world like Bruce Schneier. While the report's authors couldn't agree on the best balance between privacy and security, it conceded that they could see how "conducting certain types of surveillance has, to some extent, become more difficult." But, at the same time it questioned "whether the 'going dark' metaphor accurately describes the state of affairs. Are we really headed to a future in which our ability to effectively surveil criminals and bad actors is impossible? We think not." Worcester Polytechnic's Landau, who helped author the report, said it's easy to appreciate why the FBI is trying to corral as much information as it can in the San Bernardino case. "I do understand that this and every investigation requires due diligence," she said. "But at this point it is unlikely, even if the Farook phone is opened, that the FBI is going to get much new information from doing this." But Stewart Baker, former general counsel at the National Security Agency and a former assistant secretary of Homeland Security, says that for today's investigations, cellphone data is still a cornerstone of process. "I think that the argument that you can get a lot of information elsewhere to solve crimes so you don't have to worry about encrypted cellphones is disingenuous," Baker said. "Sure, sometimes that will be true," he said. "There will be crimes that can be solved that way that might not be solved otherwise and that might be a good response on average. It might be enough on average. But if you look at something like San Bernardino, that's a crime about which we need to know as much as we can — and whatever might be hiding on that cellphone is part of that."